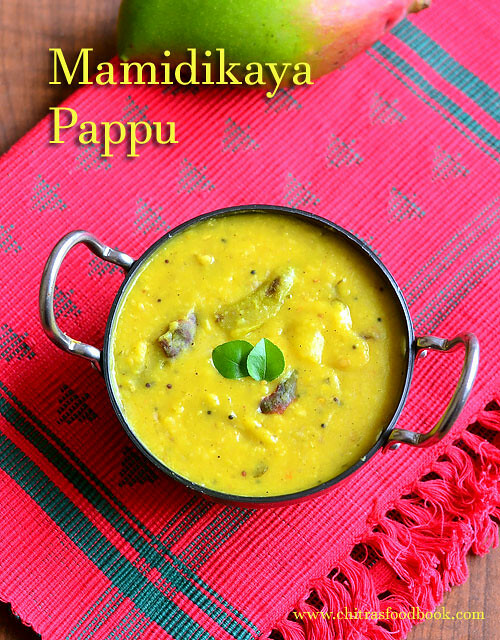 I have heard about this Andhra Raw Mango Dal (Pachi Mamidikaya pappu in Telugu) from my friends. It is nothing but toor dal cooked with raw mango and seasoned with spices. Basically I am a big fan of raw mango recipes. So every year I wait for the mango season to explore new recipes with raw mango and ripe mango as well. 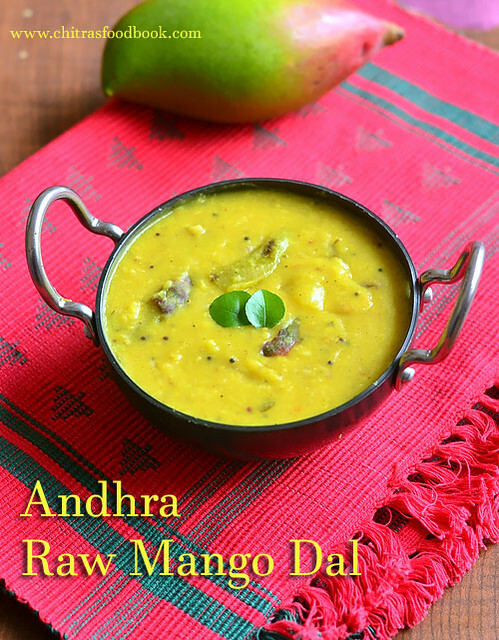 This year, I wanted to start my mango recipes with this super easy and quick Andhra style raw mango dal recipe. 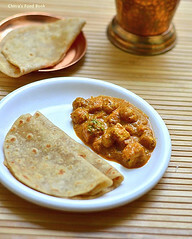 I got this recipe from my Telugu Brahmin friend Sandhya in my apartment. She taught me this no onion no garlic Andhra style mango pappu. 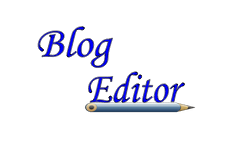 After getting the recipe from her, I browsed & found many recipes with variations. 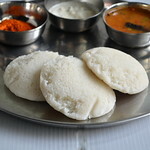 But I blindly followed Sandhya’s recipe as this is my first try. It came out really well. 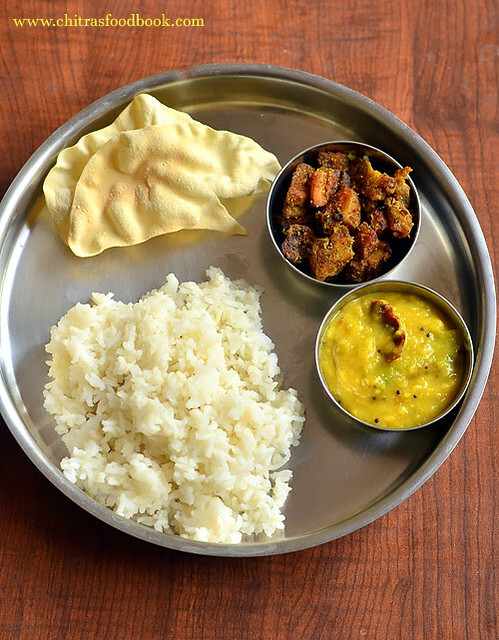 Dal is known to be the best comfort food for rice. This mango dal with a mild tangy and spicy taste is no exception. Sendhil & myself enjoyed this dal by mixing with plain rice adding ghee! I am happy that I learnt an easy and delicious raw mango recipe. Thank u so much Sandhya . As Ugadi festival is fast approaching, most of you must be buying raw mangoes to make Ugadi pachadi. 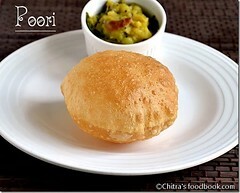 Do try this dal recipe too. You will love it. 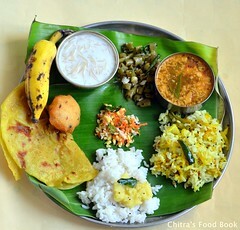 Ok, Now lets see how to make Andhra mango dal recipe with step by step photos. I will try to share a video recipe soon ! Do check out my other MANGO RECIPES too ! 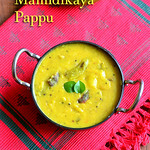 How to make Andhra style raw mango dal - Mamidikaya Pappu recipe with step by step photos ! 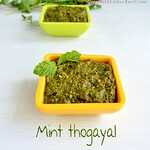 Dry roast 1 tbsp of methi seeds/Fenugreek seeds till it starts to splutter and turn light golden brown in color. Do not burn the seeds while roasting. Remove it when golden and let it cool. Powder it nicely. You can add 1/2 tsp of this powder in this mango dal. Store the remaining powder in a box and use it while making pickles, tamarind rice, vatha kuzhambu etc. My MIL adds a pinch of this powder while making filter coffee decoction. It lends a great flavor and mild bitterness to the coffee. In a pressure cooker base, take the toor dal and add 2 cups of water. Cook in low flame for 2 whistles.In the mean time, wash and peel the skin of raw mango. Chop into small pieces and set aside.Discard the seed. In a kadai, heat oil + ghee and splutter mustard seeds, cumin seeds, curry leaves, pinched red chillies, slit green chillies.Saute for few seconds. Add hing and roasted fenugreek seeds powder. Mix well and add the chopped raw mango pieces. Saute the mango pieces for few minutes till it turns soft. 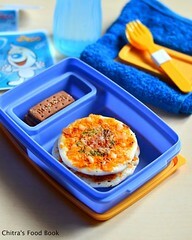 Now add 1cup of water and add the required salt. Cover the kadai with a lid and cook for few minutes till mango pieces are completely cooked and mushy.Now take a masher and mash the mango pieces roughly. 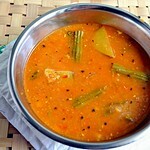 Remove the cooked toor dal and mash it with a whisk.Add this dal to the cooked mango mixture. Mix well and add 1/2 cup of water if its too thick. Add turmeric powder, required salt and 1/4 tsp chilli powder ( optional). Mix well and boil the dal for few minutes. This dal thickens when it cools down.So adjust its consistency accordingly. Transfer the dal to a bowl and serve hot with rice. Add a tsp of ghee while serving. Tastes yum !! 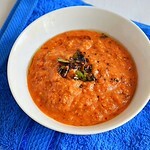 Adding methi seeds powder gives a nice flavor to this dal. I have added more turmeric powder.So mine looked more yellow in color. Please reduce it for mild color. 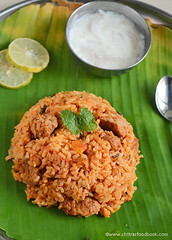 Try this easy mango recipe in this season and enjoy with rice & roti !